Wales ( Welsh: Cymru; pronounced IPA: /ˈkəmrɨ/, approximately "COME-ree") is one of the four constituent nations of the United Kingdom. Wales is located in the south-west of Great Britain and is bordered by the English counties of Cheshire, Shropshire, Herefordshire, and Gloucestershire to the east, the Bristol Channel to the south, St George's Channel to the south-west, and the Irish Sea to the west and north, and also by the estuary of the River Dee (Afon Dyfrdwy) in the north-east. The term Principality of Wales (Tywysogaeth Cymru) is the formal name, but it is rarely used in everyday business, and is an unpopular term among some. Wales has never been a sovereign state with precisely the same borders as now. However, in the eleventh century Gruffudd ap Llywelyn gained control of a territory with much the same boundaries as modern Wales and, from about 1057 till Gruffudd's death in 1063, all Wales could be said to have one King, his sovereignty recognised by England. This has never been repeated in the nation's history and, by the time of the Anglo-Norman conquest of West Wales in 1282, Wales had reverted to being a collection of independent kingdoms. Nevertheless, tradition has it that in 1404 Owain Glyndŵr was crowned Prince of Wales in the presence of emissaries from France, Spain and Scotland., and he certainly held parliamentary assemblies at several Welsh towns, including Machynlleth. Welsh law was not replaced in all cases by English law until the Laws in Wales Acts 1535-1542. It was not until 1955 that the Queen declared the capital of Wales to be Cardiff, although the Prince of Wales - argued by Welsh Nationalists to be an English pretender to the title - was invested at Caernarfon. In 1999, the National Assembly for Wales was formed, with powers to amend primary legislation from the Parliament of the United Kingdom. In 2006 these powers were widened through a second Government of Wales Act. The English name for Wales originates from the Germanic word Walha, meaning "stranger" or "foreigner", probably derived from the name Volcae. As the Celts of Gaul were Romanized, the word changed its meaning to " Romanic people", as is still apparent in the name of the Walloons of Belgium, Wallachia in Romania, as well as the "-wall" of Cornwall. The Welsh themselves called themselves Cymry, "compatriots", and named their country Cymru, which is thought to have meant "Land of the Compatriots" in Old Welsh; this has reference to their awareness that they were the original countrymen of Wales, and indeed Britain by virtue of their ancestors the Brythoniaid ( Brythons), and also in order to distinguish themselves from the foreign invaders of Britain, the Saeson (English). There is also a mediaeval legend found in the Historia Regum Britanniae of Sieffre o Fynwy ( Geoffrey of Monmouth) that derives it from the name Camber, son of Brutus and, according to the legend, the eponymous King of Cymru ( Cambria in Latin); this however was largely the fruit of Geoffrey's vivid imagination. Cumberland and Cumbria in the north of England derive their names from the same Old Welsh word. Humans first inhabited what is now Wales at the end of the last Ice Age. The first documented history was during the Roman occupation of Britain. At that time the area of modern Wales was divided into many tribes, of which the Silures in the south-east and the Ordovices in the central and north-west areas were the largest and most powerful. The Romans established a string of forts across what is now southern Wales, as far west as Carmarthen (Caerfyrddin; Latin: Maridunum), and mined gold at Dolaucothi in Carmarthenshire. There is evidence that they progressed even farther west. They also built the legionary fortress at Caerleon ( Latin: Isca Silurum), whose magnificent amphitheatre is the best preserved in Britain. The Romans were also busy in northern Wales, and the mediaeval Welsh tale Breuddwyd Macsen Wledig claims that Magnus Maximus (Macsen Wledig), one of the last western Roman emperors, married Elen or Helen, the daughter of a Welsh chieftain from Segontium, present-day Caernarfon. It was in the 4th century during the Roman occupation that Christianity was introduced to Wales. After the collapse of the Roman Empire in Britain in 410, the native Romano-Britons became divided into numerous petty kingdoms. Although the low-lying kingdoms of the south and east of Britain were soon overrun, attempts by the Anglo-Saxon tribes to invade the upland kingdoms in the western parts of Britain failed due to the fierce resistance of their people and the mountainous terrain. This tenacious survival by the Romano-Britons and their descendants in the western kingdoms was to become the foundation of what we now know as Wales. However, their ability to fight back on equal terms and perhaps liberate those parts of the country from which they had been driven was gradually sapped by the loss of the rich lowlands and cities of the south and east. By the eighth century the eastern borders with the Anglo Saxons had broadly been set. An Anglo-Saxon king, Offa of Mercia, is credited with having constructed a great earth wall, or dyke, along the border with his kingdom, to mark off a large part of the Welsh speaking Kingdom of Powys which he had just conquered. Parts of Offa's Dyke (Clawdd Offa) can still be seen today and croesi Clawdd Offa ("crossing Offa's Dyke") is still a common expression in Wales for visiting England. The southern and eastern lands lost to English settlement became known in Welsh as Lloegyr (Modern Welsh Lloegr), which may have referred to the kingdom of Mercia originally, and which came to refer to England as a whole. The barbarian tribes who now dominated these lands were invariably called Saeson, meaning "Saxons". The Anglo-Saxons, in turn, labelled the Romano-British as Walha, meaning 'foreigner' or 'stranger'. The Welsh continued to call themselves Brythoniaid (Brythons or Britons) well into the Middle Ages, though the first use of Cymru and y Cymry is found as early as 633 in the Gododdin of Aneirin. In Armes Prydain, written in about 930, the words Cymry and Cymro are used as often as 15 times. It was not until about the 12th century however, that Cymry began to overtake Brythoniaid in their writings. 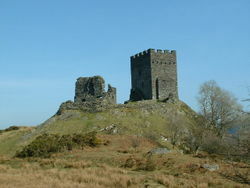 Dolwyddelan Castle, built by Llywelyn ab Iorwerth in the early 13th century to defend Gwynedd from the English. Following the Norman conquest of England in 1066, the independence of the Welsh kingdoms was gradually eroded, in spite of the efforts of Welsh princes such as Owain Gwynedd and Llywelyn ab Iorwerth (Llywelyn Fawr; Llywelyn the Great). William the Conquerer sought to subdue the Welsh by the establishment of Anglo-Norman lordships on the borders of Wales, and these Marcher Lords retained considerable independence until the reign of Henry VIII. In 1282, with the death in battle of Llywelyn ap Gruffudd, Wales's last independent leader, Welsh territory west of the Marches came under the rule of Edward I of England. To help maintain his power, he constructed a series of great stone castles. Beaumaris, Caernarfon, and Conwy were built to overshadow the Welsh royal home and headquarters Aber Garth Celyn, Gwynedd. The next few centuries were often tumultuous, with a series of minor revolts culminating in the rebellion of Owain Glyndŵr. Wales was legally annexed by the Laws in Wales Act 1535, in the reign of Henry VIII of England, who was himself partly of Welsh ancestry. The Wales and Berwick Act 1746 provided that all laws that applied to England would automatically apply to Wales (and Berwick, a town located on the Anglo-Scottish border) unless the law explicitly stated otherwise. In the early 19th century parts of Wales became heavily industrialised. In the north slate quarrying became the major employer. Ironworks were set up in the valleys running south from the Brecon Beacons particularly around the new town of Merthyr Tydfil, with iron production later spreading westwards to the hinterlands of Neath and Swansea where anthracite coal was already being mined. From the 1840s coal mining spread to the Aberdare and Rhondda valleys. This led to a rapid increase in the population of these areas. In 1801 just over 587,000 people lived in Wales; by 1901, this had increased to over 2,012,000. The most significant rises in population occurred in industrial counties - Denbigh, Flint, Monmouth and Glamorgan. The century witnessed a transition from a society that was predominantly rural (around 80% lived outside urban settlements in 1800) to a largely urbanised, industrial society (in 1911, only 20% lived in non-urban areas). In the twentieth century, Wales saw a revival in its national status. An independence movement was led by Plaid Cymru, seeking greater autonomy from the rest of the UK. 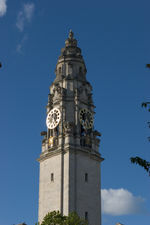 In 1955, the term England and Wales became common for describing the area to which English law applied, and Cardiff was proclaimed as capital. In 1962 the Welsh Language Society (Cymdeithas yr Iaith Gymraeg) was formed in response to fears that the language might soon die out. Nationalism grew, particularly following the flooding of the Tryweryn valley in 1965, drowning the village of Capel Celyn to create a reservoir supplying water to Liverpool. In 1966 the Carmarthen Parliamentary seat was won by Plaid Cymru at a by-election, their first Parliamentary seat. A terror campaign was waged for a short period by the Free Wales Army and Mudiad Amddiffyn Cymru (MAC - Welsh Defence Movement). In the years leading up to the investiture of Prince Charles as Prince of Wales in 1969, these groups were responsible for a number of bomb blasts destroying water pipes and tax and other offices. In 1967, the Wales and Berwick Act 1746 was repealed for Wales, and a legal definition of Wales, and of the boundary with England was stated. A referendum on the creation of an assembly for Wales in 1979 (see Wales referendum, 1979) led to a large majority for the "no" vote. However, in 1997 a referendum on the issue was secured, although by a very narrow majority. The National Assembly for Wales (Cynulliad Cenedlaethol Cymru) was set up in 1999 (as a consequence of the Government of Wales Act 1998) and possesses the power to determine how the central government budget for Wales is spent and administered. Rhodri Morgan, the First Minister of Wales. The head of state in Wales, a constituent part of the United Kingdom, is the British monarch, currently Queen Elizabeth II (since 1952). Executive power is derived by the Queen, and exercised by the Parliament of the United Kingdom at Westminster, with some powers devolved to the National Assembly for Wales in Cardiff. The United Kingdom Parliament retains responsibility for passing primary legislation in Wales. The National Assembly has regulatory authority over laws passed that are applicable to Wales, and has limited power to vary these by secondary legislation The National Assembly is not a sovereign authority, and the UK Parliament could, in theory, overrule or even abolish it at any time. However, its powers are set to increase as the Government of Wales Act 2006 will allow it to speed up the passage of 'Assembly Measures'. The National Assembly was first established in 1998 under the Government of Wales Act. There are 60 members of the Assembly, known as "Assembly Members (AM)". Forty of the AMs are elected under the First Past the Post system, with the other 20 elected via the Additional Member System via regional lists in 5 different regions. The largest party elects the First Minister of Wales, who acts as the head of government. The Welsh Assembly Government is the executive arm, and the Assembly has delegated most of its powers to the Assembly Government. The new Assembly Building designed by Richard Rogers was opened by The Queen on St. David's Day (March 1st) 2006. 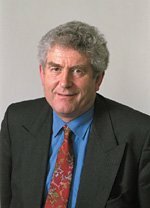 The current First Minister of Wales is Rhodri Morgan (since 2000), of the Welsh Labour party who form a minority government. The largest opposition party is Plaid Cymru ("Party of Wales"), who favour Welsh independence in Europe. Other parties include the Conservative Party, the Liberal Democrats (who formed part of a coalition government with Labour in the first Assembly), and Forward Wales. Current political debate in Wales is about whether the National Assembly should be given more powers, such as the power to pass primary legislation, as the Scottish Parliament can in Scotland. In the British House of Commons, Wales is represented by 40 MPs (out of a total of 646) in the Welsh constituencies. A Secretary of State for Wales sits in the UK cabinet and is responsible for representing matters that pertain to Wales. The Wales Office is a department of the United Kingdom government, responsible for Wales. The current Secretary of State for Wales is Peter Hain. Wales shares the same legal system as England, within the legal distinction of England and Wales. England "legally" annexed Wales under the Laws in Wales Act 1535, in the reign of King Henry VIII. Prior to that Welsh Law had survived de facto after the conquest up to the fifteenth century in areas remote from direct English control. The Wales and Berwick Act 1746 provided that all laws that applied to England would automatically apply to Wales (and Berwick, a town located on the Anglo-Scottish border) unless the law explicitly stated otherwise. This act, with regard to Wales, was repealed in 1967. As such, English law is the law of Wales. English law is regarded as a common law system, with no major codification of the law, and legal precedents are binding as opposed to persuasive. The court system is headed by the House of Lords which is the highest court of appeal in the land for criminal and civil cases (although this is due to be replaced by a Supreme Court of the United Kingdom). The Supreme Court of Judicature of England and Wales is the highest court of first instance as well as an appellate court. The three divisions are the Court of Appeal; the High Court of Justice and the Crown Court. Minor cases are heard by the Magistrates' Courts or the County Court. However with the large degree of autonomy caused by the creation of the Welsh Assembly, there is a degree of independence in terms of law-making. Following the Government of Wales Act 2006, which transferred some primary legislation powers to the National Assembly for Wales (although the final authority on such legislation must be passed by the Westminster Parliament), the ancient and historic Wales and Chester court circuit was disbanded and a separate Welsh court circuit was created to allow for any 'Welsh laws' passed by the National Assembly. For the purposes of local government, Wales was divided into 22 council areas in 1996. These are unitary authorities responsible for the provision of all local government services, including education, social work, environment and roads services. Below these in some areas there are community councils — that cover specific areas within a council area. The Queen appoints a Lord Lieutenant to represent her in the eight Preserved counties of Wales — which are combinations of council areas. The 13 traditional counties of Wales are also used as geographical areas. ( St. Asaph historically had city status. The 1911 Encyclopædia Britannica refers to it as a city, but it is no longer considered as such. Applications for restoration of city status in the 2000 and 2002 competitions were unsuccessful). Wales is located on a peninsula in central-west Britain. The entire area of Wales is about 20,779 km² (8,023 square miles). It is about 274 km (170 miles) north- south and 97 km (60 miles) east- west. Wales borders by England to the east and by sea in the other three directions: the Welsh Channel to the south, St George's Channel to the west, and the Irish Sea to the north. Together, Wales has over 1,200km (750 miles) of coastline. There are several islands off the Welsh mainland, the largest being Ynys Môn (Anglesey) in the north west. The main population and industrial areas are in South Wales, consisting of the cities of Cardiff (Caerdydd), Swansea (Abertawe) and Newport (Casnewydd) and surrounding areas. Much of Wales's beautiful and diverse landscape is mountainous, particularly in the north and central regions. The mountains were shaped during the last ice age, the Devensian glaciation. 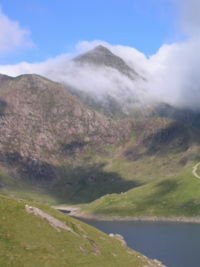 The highest mountains in Wales are in Snowdonia (Eryri), and include Snowdon (Yr Wyddfa), which, at 1085 m (3,560 ft) is the highest peak in Wales. The 14 (or possibly 15) Welsh mountains over 3,000 feet (914 m) high are known collectively as the Welsh 3,000s. The Brecon Beacons (Bannau Brycheiniog) are in the south and are joined by the Cambrian Mountains in mid-Wales, the latter name being given to the earliest geological period of the Paleozoic era, the Cambrian. In the mid-nineteenth century, two prominent geologists, Roderick Murchison and Adam Sedgwick used their studies of the geology of Wales to establish certain principles of stratigraphy and palaeontology. After much dispute, the next two periods of the Paleozoic era, the Ordovician and Silurian, were named after ancient Celtic tribes from this area. Along with its Celtic cousins in Devon and Cornwall in the West Country, the South Wales/West Wales coastline has more miles of Heritage Coast than anywhere else. The coastline of the Vale of Glamorgan, Gower Peninsula, Pembrokeshire and Ceredigion is particularly wild and impressive. Gower, Pembrokeshire and Cardigan Bay all have clean blue water, white-sand beaches and impressive marine life. The modern border between Wales and England is highly arbitrary; it was largely defined in the 16th century, based on mediaeval feudal boundaries. It has apparently never been confirmed by referendum or reviewed by any Boundary Commission. The boundary line (which very roughly follows Offa's Dyke up to 40 miles (64 km) of the northern coast) separates Knighton from its railway station, virtually cuts off Church Stoke from the rest of Wales, and slices straight through the village of Llanymynech (where a pub actually straddles the line). Highest maximum temperature: 35.2°C (95.4°F) at Hawarden Bridge, Flintshire on 2 August 1990. Lowest minimum temperature: -23.3°C (-10°F) at Rhayader, Radnorshire on 21 January 1940. Parts of Wales have been heavily industrialised since the eighteenth century. Coal, copper, iron, silver, lead, and gold have been mined in Wales, and slate has been quarried. Ironworks and tin-plate works, along with the coal mines, attracted large numbers of immigrants during the nineteenth century, particularly to the valleys north of Cardiff. Due to poor-quality soil, much of Wales is unsuitable for crop-growing, and livestock farming has traditionally been the focus of agriculture. The Welsh landscape (protected by three National Parks), as well as the unique culture of Wales, attract large numbers of tourists, who play an especially vital role in the economy of rural areas. The Cardiff economy is a growing base for many companies and as a result it has been increasingly used for new businesses, and many new employment opportunities have been created as a result. The new St David's 2 project in the city centre, the Sports Village construction in Cardiff Bay along with the creation of a new stadium for Cardiff City FC will boost employment by nearly 10,000 according to early projections and will prove a massive boost to the regional economy. The St David's 2 project will include the expansion of the city centre to include a new 6 story city centre library, a new multi-storey car park for the Marriot hotel, 9 new large stores which will include Wales' first John Lewis and many other small stores. The Cardiff Bay 'Sports Village' will be the base for a new casino, Snow Dome, retail park and the ice rink for the Cardiff Devils ice-hockey team. Many other cities are also conducting major projects of regeneration, such as the SA1 Waterfront project in Swansea and in Newport a major regeneration project will vastly improve transport throughout the city, the building of a new retail centre and 6000 homes. The population of Wales in the 2001 census was 2,903,085, which has risen to 2,958,876 according to 2005 estimates. This would make Wales the 132nd largest country by population if it were a sovereign state. According to the 2001 census, 96% of the population was White British, and 2.1% non-white (mainly of Asian origin). Most non-white groups were concentrated in Cardiff, Newport and Swansea. In the 2001 Labour Force Survey, 72% of adults in Wales considered their national identity as wholly Welsh and another 7% considered themselves to be partly Welsh (Welsh and British were the most common combination). In 2001 a quarter of the Welsh population were born outside Wales, mainly in England; about 3% were born outside the UK. The proportion of people who were born in Wales differs across the country, with the highest percentages in the South Wales Valleys, and the lowest in Mid Wales and parts of the north-east. In both Blaenau Gwent and Merthyr Tydfil 92% were Welsh-born, compared to only 51% in Flintshire and 56% in Powys. One of the reasons for this is that the locations of the most convenient hospitals are over the border in England. In the case of Flintshire, The Countess of Chester Hospital is only 13 miles (21 km) from Mold, the prime town of the county. The Welsh option would be Bodelwyddan Hospital in Denbighshire which would be a 25 mile (40 km) trip. The official languages in Wales are English and Welsh. English is spoken by almost all people in Wales and is the de facto main language (see Welsh English). However, Wales is officially bilingual, with 20.5% of the population able to speak Welsh and a larger proportion having some knowledge of the Welsh language according to the 2001 census, although few (if any) residents of Wales other than small children are monolingual in Welsh these days. The Welsh Language Act 1993 and the Government of Wales Act 1998 provide that the Welsh and English languages should be treated on a basis of equality. Public bodies are required to prepare and implement a Welsh Language Scheme. Thus the Welsh Assembly, local councils, police forces, fire services and the health sector use Welsh as an official language, issuing official literature and publicity in Welsh versions (e.g. letters to parents from schools, library information, and council information). All road signs in Wales should be in English and Welsh, including both versions of place names where names or versions exist in both languages e.g. Caerdydd and "Cardiff". During the 20th Century a number of small communities of speakers of languages other than English or Welsh, such as Bengali or Cantonese, have established themselves in Wales as a result of immigration. This phenomenon is almost exclusive to urban Wales. The Italian Government funds the teaching of Italian to Welsh residents of Italian ancestry. These other languages however have no official status, although public services may produce information leaflets in minority ethnic languages where there is a specific need, as happens elsewhere in the United Kingdom. The largest religion in Wales is Christianity, with 72% of the population describing themselves as Christian in the 2001 census. The Presbyterian Church of Wales is the largest denomination and was born out of the Welsh Methodist revival in the eighteenth century and seceded from the Church of England in 1811. The Church in Wales is the next largest denomination, and forms part of the Anglican Communion. It too was part of the Church of England, and was disestablished by the British Government under the Welsh Church Act 1914 (the act did not take effect until 1920). The Roman Catholic Church makes up the next largest denomination at 3% of the population. Non-Christian religions are small in Wales, making up approximately 1.5% of the population. 18% of people declare no religion. The patron saint of Wales is Saint David, with St David's Day celebrated annually on March 1. Islam is the largest non-Christian religion in Wales, with over 30,000 reported in the 2001 census, there are also many Hindus and Sikhs mainly in South Wales' cities of Newport, Cardiff and Swansea. About 80% of the land surface of Wales is given over to agricultural use. Very little of this is arable land, though–the vast majority consists of permanent grass or rough grazing for herd animals. Although both beef and dairy cattle are raised widely, especially in Carmarthenshire and Pembrokeshire, Wales is more well-known for its sheep farming, and thus lamb is the meat traditionally associated with Welsh cooking. Some traditional dishes include laverbread (made from seaweed), bara brith (fruit bread), cawl cennin (leek stew), Welsh cakes, Welsh rarebit (cheese on toast), and Welsh lamb. Cockles are sometimes served with breakfast. In 2005 the Welsh National Culinary Teams returned from the Culinary World Cup in Luxembourg with eight gold, 15 silver and seven bronze medals; plus an overall top 7 place in the world. The principal Welsh festival of music and poetry is the National Eisteddfod. This takes place annually in a different town or city. The Llangollen International Eisteddfod echos the National Eisteddfod but provides an opportunity for the singers and musicians of the world to perform. Wales is often referred to as "the land of song", being particularly famous for harpists, male voice choirs, and solo artists including Sir Geraint Evans, Dame Gwynneth Jones, Dame Anne Evans, Ivor Novello, Madam Adelina Patti, John Cale, Tom Jones, Charlotte Church, Bonnie Tyler, Bryn Terfel, Mary Hopkin, Katherine Jenkins, Shirley Bassey and Aled Jones. The popular New Wave/ synthpop group Scritti Politti was a vehicle for singer/songwriter and Cardiff native Green Gartside. Indie bands like Catatonia, Stereophonics, The Manic Street Preachers, Feeder, Super Furry Animals, and Gorkys Zygotic Mynci, in the 1990s, and later Goldie Lookin' Chain, McLusky, Lostprophets, Funeral for a Friend, The Automatic and Bullet for my Valentine were preceded by Man in the 1970s. Many of these popular singers and musicians have yet to pass the test of longevity. There are also numerous smaller bands that are yet to enter the mainstream. The Welsh traditional and folk music scene, long overshadowed by its Irish and Scottish cousins, is in resurgence with performers and bands such as Crasdant, Carreg Lafar, Fernhill, Siân James, Robin Huw Bowen, Llio Rhydderch, KilBride and The Hennessys. The 'Sîn Roc Gymraeg' (Welsh language Rock Scene) in Wales is thriving, with acts ranging from rock to hip-hop which routinely attracts immense crowds and audiences. The Welsh-language Rock Scene presently is stated as 'the best yet,' with more bands, and more audiences than the 'Sin Roc Gymraeg' has ever seen in its existence. Dolgellau, in the heart of Snowdonia has held the annual Sesiwn Fawr (mighty session) festival since 1992. From humble beginnings the festival has grown to be Wales' largest Welsh-Language Music Festivals. The BBC National Orchestra of Wales performs in Wales and internationally. The world-renowned Welsh National Opera now has a permanent home at the Wales Millennium Centre in Cardiff Bay. The most popular sports in Wales are Rugby union and football. As in New Zealand, Rugby is a core part of the national identity. The Welsh national rugby union team takes part in the annual Six Nations Championship, and the Rugby World Cup. Welsh teams also play in the Celtic League (rugby union) alongside teams from Ireland and Scotland, the EDF Energy Cup and the European Heineken Cup. Wales has its own football league since 1992, but for historical reasons, the 3 major Welsh clubs play in the English Football League and another three minor clubs in its feeder leagues. The Welsh national team like Scotland plays independently for international competition. Rugby league is now developing in Wales. Since 2003, there has been a national league and in 2006, semi-professional league comes back to the principality with the advent of the Celtic Crusaders. The Isle of Anglesey/Ynys Môn is a member island of the International Island Games Association. The next Island Games will be held in 2007 on Rhodes (Greece). In the 2005 Games, held on the Shetland Islands, the Isle of Anglesey/Ynys Môn came 11th on the medal table with 4 gold, 2 silver and 2 bronze medals. Wales has produced some great world class snooker players such as Terry Griffiths Mark Williams and Matthew Stevens and amateur participation in the sport is very high. The rugged terrain of the country also gives plenty of opportunities for rally driving and Wales currently hosts the finale of the World Rally Championship. Glamorgan compete in county cricket competitions and the Cardiff Devils were once a strong force in British ice hockey. There is also some success in boxing. Joe Calzaghe the half-Welsh, half-Italian boxer is current World Super-Middleweight Champion and Swansea born Enzo Maccarinelli the current WBO, WBC and WBU World Cruiserweight Champion. Wales has also produced a number of athletes who have made a mark on the world stage, including the 110m hurdler Colin Jackson who is a former world record holder and the winner of numerous Olympic, World and European medals. Wales are the current World Golf Champions. Although it isn't very well known, Wales have had two drivers compete in the Formula One championship, Alan Rees being the first at the 1967 British Grand Prix, finishing in ninth position, four laps behind the winner, Jim Clark. Tom Pryce was the most notable of the two drivers, as he finished on the podium twice and for the 1975 British Grand Prix, qualified in pole position. Pryce's career was cut short after he collided with volunteer marshal, Jansen Van Vuuren, killing both instantly. As well as Formula One, Wales have had some notability in the World Rally Championship, producing two championship winning Co-Drivers, those being Nicky Grist, who helped Colin McRae to victory in 1996 and Phil Mills who helped Petter Solberg win the 2003 title. The Flag of Wales (Y Ddraig Goch) incorporates the red dragon of Prince Cadwalader along with the Tudor colours of green and white. It was used by Henry VII at the battle of Bosworth in 1485 after which it was carried in state to St. Paul's Cathedral. The red dragon was then included in the Tudor royal arms to signify their Welsh descent. It was officially recognised as the Welsh national flag in 1959. Since the British Union Flag does not have any Welsh representation, the Flag of Wales has become very popular. The Dragon, part of the national flag design, is also a popular Welsh symbol. The oldest recorded use of the dragon to symbolise Wales is from the Historia Brittonum, written around 820, but it is popularly supposed to have been the battle standard of King Arthur and other ancient Celtic leaders. This myth is likely to have originated from Merlin's vision of a Red (Wales) and White (England) dragon battling, with the Red dragon being victorious. Following the annexation of Wales by England, the dragon was used as a supporter in the English monarch's coat of arms. The leek is also a national emblem of Wales. According to legend, Saint David ordered his Welsh soldiers to identify themselves by wearing the vegetable on their helmets in an ancient battle against the Saxons that took place in a leek field. The daffodil is the national flower of Wales, and is worn on St David's Day each March 1. The Flag of Saint David is sometimes used as an alternative to the national flag, and is flown on St David's Day. The Coat of Arms of the Principality of Wales is used by Charles, Prince of Wales in his personal standard. The Prince of Wales's feathers, the heraldic badge of the Prince of Wales is sometimes adapted by Welsh bodies for use in Wales. The symbolism is explained on the article for Edward, the Black Prince, who was the first Prince of Wales to bear the emblem; see also John, king of Bohemia. The Welsh Rugby Union uses such a design for its own badge.